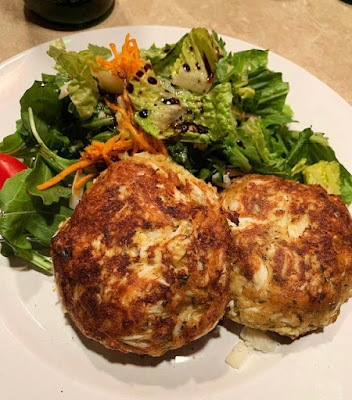 Deb's Crab Cakes---Simple, Fast & Easy to Make! Every Christmas Eve, my family would do the Feast of the Seven Fishes. My father owned part of the South Street Seaport down in New York City, so he would grab a ton of seafood and bring it home. Cooking started the night before Christmas Eve, well into the early morning. After a while, my appreciation for seafood declined, and I even became allergic to certain things, like shrimp and octopus salad. But if they were fried, somehow I was able to eat them. 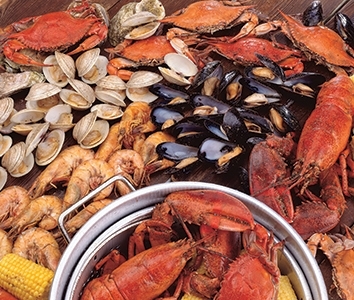 Anyway, in my 'seasoned' years, I began to crave the mighty crustaceans once again. I loved crab cakes so much that I started making them myself. 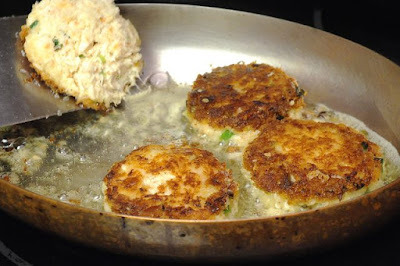 I didn't realize how easy it was to make delicious crab cakes. You can buy a pound of lump crab in a can for about $20 bucks. Anymore than that, you're getting ripped off. It stays fresh for a long time too, until you open it up. It's just like fresh crab! I promise. Start making patties out of them---usually you'll get 6 small ones or you can do 4 big ones. Fry them up in olive oil, 5 minutes on each side and make sure you don't burn them, they can burn really fast. Set up a bed of greens and serve them up! They're delicious! If you'd like to see me prepping and cooking this on Periscope Live, then CLICK HERE! One of my favorite soups my mama used to make was her pasta fagioli, pronounced, "bosta fazool." This was one soup known for its powerful agita. My mother used to make a bowl of soup for my dad, look over at me and say, "I'm giving him a bowl of gas," and she'd roll her eyes anticipating the entire evening dodging the dutch oven from the other side of the bed. But it was worth it, right? This is a great soup to serve up when you're having friends and family over and you wanna start them off with a little appetizer, especially on a cold evening. About two weeks before my mom passed away, she asked if I could help her cook. I always asked her how to make this soup and she would just blurt out the steps and then say, "Oh it's so easy, Deb!" But I never truly grasped it, until she did this... She called me to come down and help her. 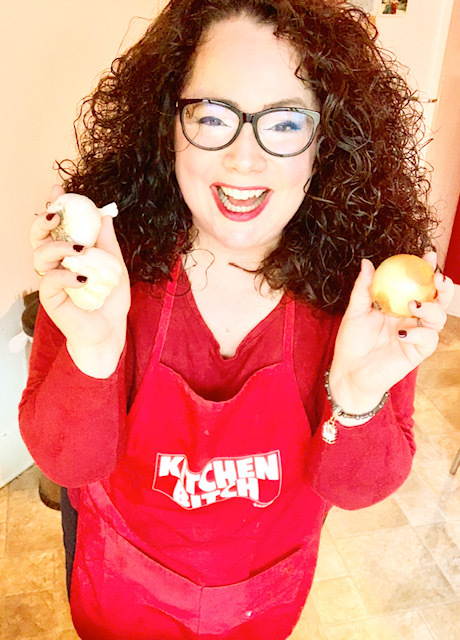 She said, "Get the cutting board, chop up garlic, onions, parsley, basil---start it like a sauce." And as she was telling me what to do, I kind of figured out she wanted me to learn hands on. I started to get a huge lump in my throat because I knew what she was doing. 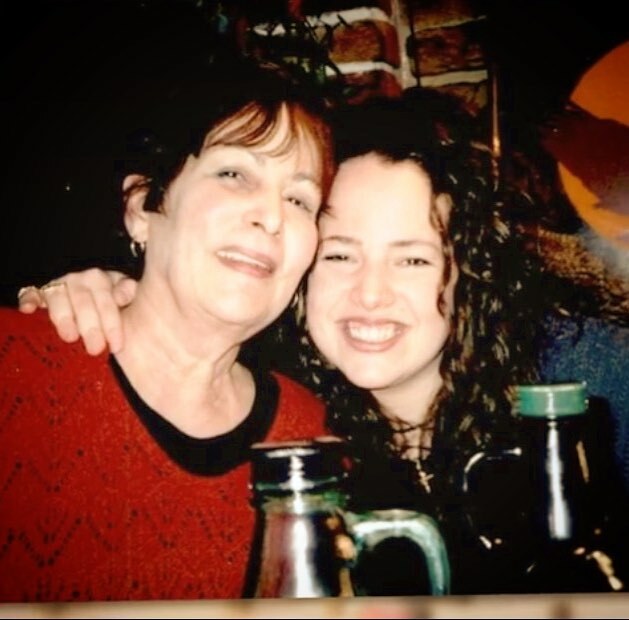 She always wanted me to cook her recipes---and I loved everything she made so I was more than willing. I never made any soup while mom was alive because that was her gig and I respected that. But she knew she didn't have long here, and shared her treasure with me, so that I could share that treasure with my family. Thank you, Mom. Our house smells like you're still here cooking. I miss you. First you pour a little olive oil into a pot. Take one bulb of garlic and carefully chop them in big elongated slices, so you can see it when you take a scoop of the soup. It's amazing! Chop up fresh parsley and basil. Add salt, pepper, garlic powder, a little red pepper and oregano. Let the mixture of everything sauté for about a minute, not burning the garlic and then add 4 cups of water, 1 small can of tomato paste and 4 cans of cannelloni beans. Let that simmer for 30 minutes. Then fill the pot with water or chicken broth to the top with some room for the pasta. Let it come to another boil. Throw in 1 lb of elbow pasta raw. Put a lid on it and push it over to the side. The pasta will cook automatically. 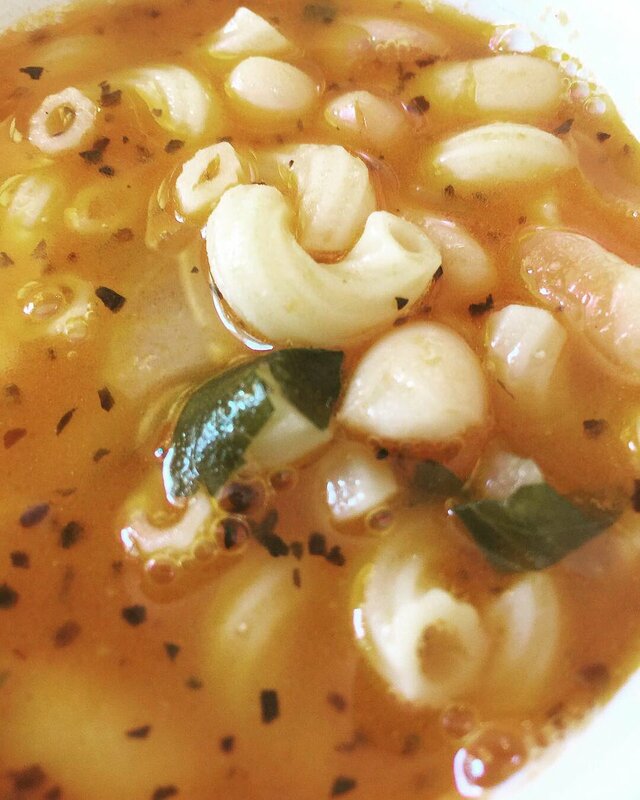 And voila --- you have yourself a delicious and healthy soup! And don't forget! 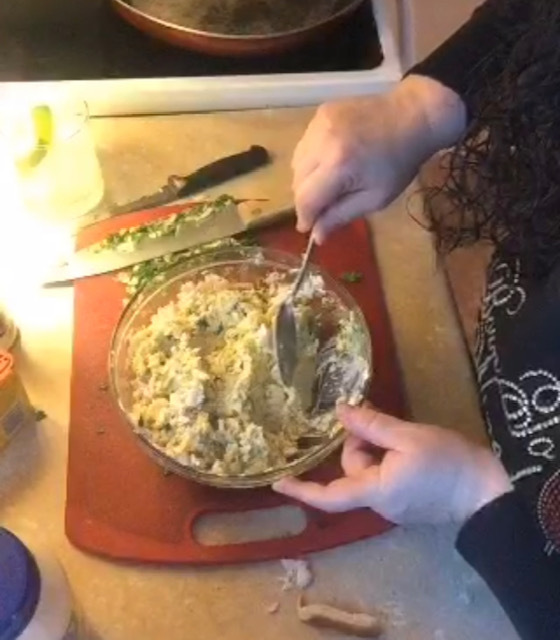 I cook live over on Periscope! 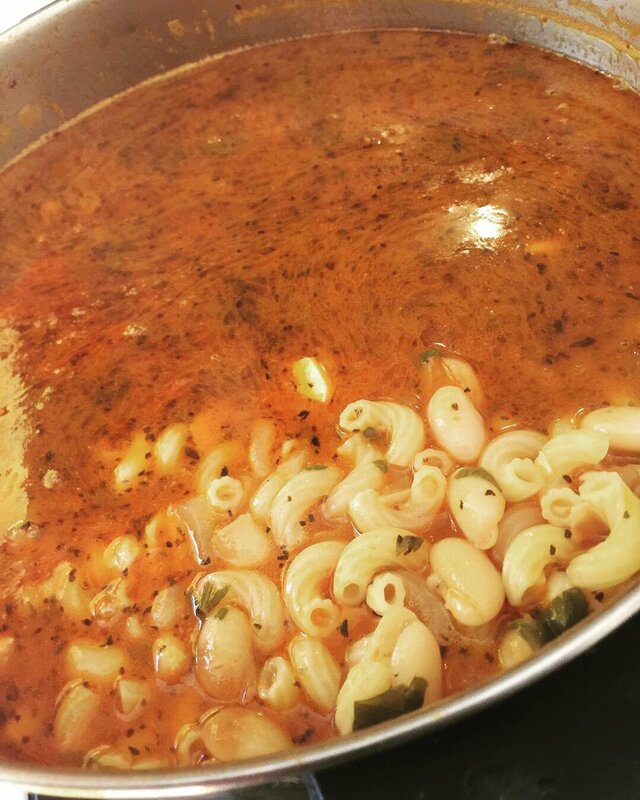 If you wanna see me make this soup on a replay over on Periscope, CLICK HERE! Let me know if you have any questions and please send me pictures of how you made this dish too! My mama's famous chicken tortellini soup! 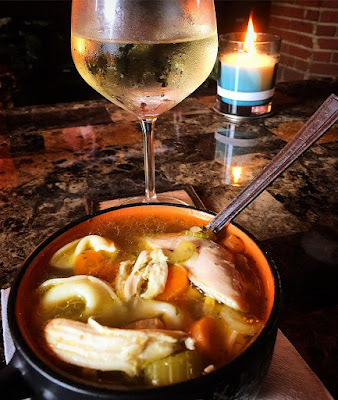 There's nothing like Mama's chicken soup. Anytime I was feeling sick or even if I was feeling down, my mom would rush out of the house and buy celery, onions, carrots and a 4 lb fryer chicken. She specialized in the most amazing soups that I have learned right before she passed away. She finally gave me her recipes for her famous soups, but I truly wish she was still here making them instead. It's heartwarming to smell her cooking when I make her recipes. It fills the house with a nostalgic love that just embraces you as you cook. I really miss her, so this is my way of keeping her legend alive...and I know she's watching me when I cook. I seriously can hear her correct me if I do something wrong. So all in all, she is still micromanaging me in my own cucina! Fill a large pot with water. Unwrap your chicken and clean it thoroughly. Make sure those gizzards are plucked out. They usually come in a bag. What I do with these gems is fry em' up and serve them to my dog. It's super rich in iron and many other nutritious minerals. Your dog will go crazy for them. As you place the pot filled with water and your little chickadee---keep the burner on high and wait for a boil. As you're doing that, start chopping an entire stalk of celery. I mean an entire thing of it! Chop chop chop until you get carpel tunnel. Chop two large onions. YES, two. Onions have properties that help your respiratory system, especially if you're sick with the flu and have bronchitis or asthma complications. This seriously will help you recover. It's no joke why chicken soup is healing. I do not use garlic. Garlic gives it a weird flavor and a lot of people agree. But if you like it, then by all means add as much as you want, but this soup calls for no garlic. Chop up some fresh parsley. Chop up an entire bag of baby carrots. I prefer baby carrots, but you can do regular if you want. Make sure it's a lot, because what happens now is a big secret kept by my mama. Don't be afraid to chop TOO much----it's going to be amazing. As you are adding all of these ingredients into your pot, make sure to use salt, pepper and garlic powder. 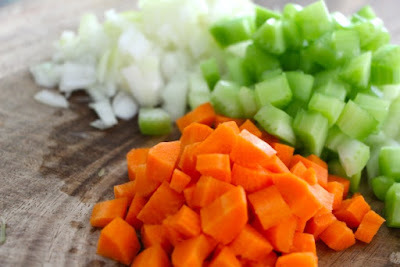 Now that your pot is starting to boil, take a blender and start scooping up the veggies---don't worry about adding a little water into the mix, it'll come out so good. Blend it till it's a puree ---blend it till you can't blend it no mo'! Then add that right back into your pot of deliciousness! And let me tell you---your soup will be the talk of the town. Put a cover on it and let it boil for 1 1/2 hours. Go inside and watch something on Netflix. When you come back after it fully boiled for an hour and a half, carefully take the chicken out with a huge drainer spoon and another large spoon to remove the chicken. If a wing or leg comes off, make sure to take the drainer spoon and retrieve it. You don't want any bones in your soup. 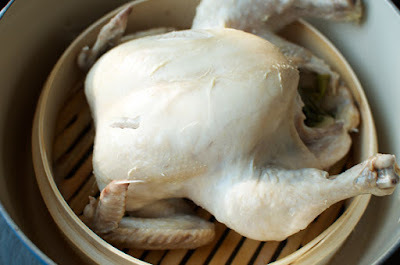 Lay the chicken out on a cutting board--making sure that the drippings from the boiled water has someplace to go. You can even use a large serving plate that will let the remaining water settle instead of spilling onto the counter. Pie dishes are ok, as long as they are big enough. Let it sit for about 15 minutes. Pick apart every piece of meat you can, chopping it up into bite size cubes or strands...that's up to you. 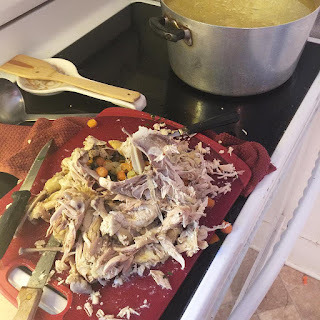 When you're done throwing the entire chicken meat in (no skin) --- then mix it around, and add either chicken broth from a box or do what I do: fill the water to the top again and add 7 chicken flavored bullion cubes. My pot holds about 20 cups, so make sure your pot is big enough for 7 bullion cubes. It's one cup per cube to be exact. Turn the burner of the stove off, and add in your frozen tortellinis and cover. Wait about 20 minutes before serving. And feel better, this soup is exactly what the doctor ordered! To see a previously recorded live video of me cooking this step by step, just CLICK HERE and it'll guide you to my Periscope account. I hope you like it!